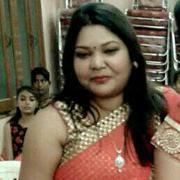 Matchfinder is the most trusted site for Unnao Jain Second Marriage. If you are in search of matrimony matrimony, your quest ends here on Match finder matrimony. If you are looking for Unnao Jain divorced bride or groom profiles ...Read Morefor second marriage, you have reached the right place. Search profiles by id or name after sign up. There are many Unnao Jain second marriage men and women profiles seeking alliances from divorced/widow brides and grooms. Registration is free for a limited period on Matchfinder. Find matches today! When you are in quest of matrimony matrimonial, Match finder matrimony can help to find your soulmate.